Scan for pending jobs. If there are any, query the user as what to do. You must be running Photon to start this manager. The spool manager's main window. 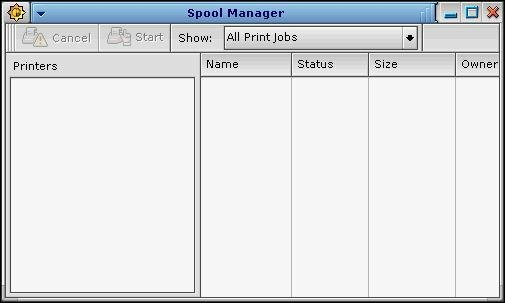 You can use the spool manager to query and cancel print jobs.